Over the years, young sustainable transportation enthusiasts have used their bikes to research (and distribute) many kinds of Green Maps. 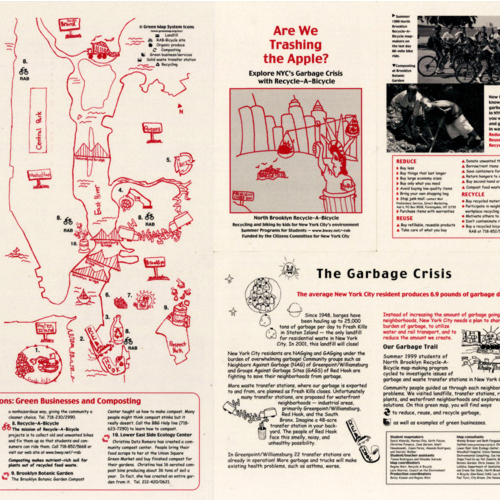 One such mapping project began with Pedaling Brooklyn's Gardens, which was created in 1999 by Recycle a Bicycle. 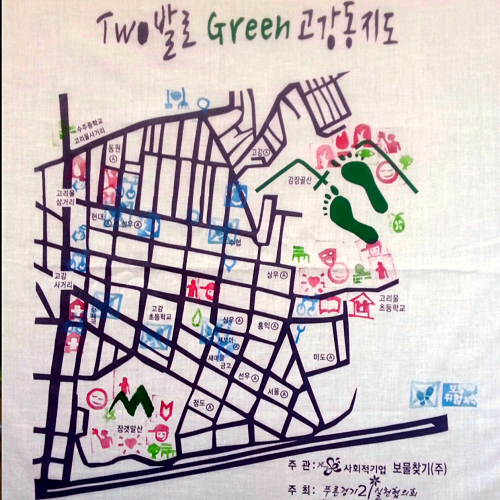 This is the very first youth-made Green Maps in the world!! Educator Roy Arezzo and middle school students worked to create a bicycle tour and presentations to the Community Board to celebrate and protect Greenpoint-Williamsburg's community gardens. This map is one of the reasons our global program at GreenMap.org/youth exists! 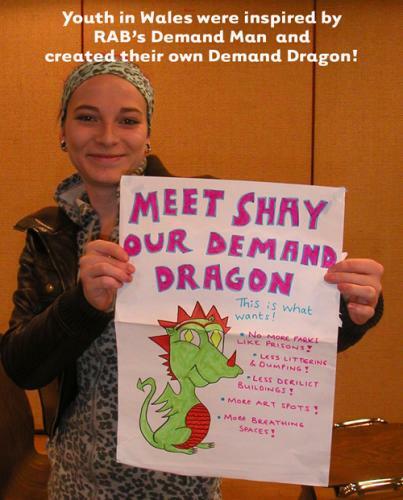 This project inspired several years of summer Green Map projects, and in RAB's 4-week program, some cool characters were invented, like the Demand Man which inspired the Welsh Demand Dragon in Wales (both featured here). 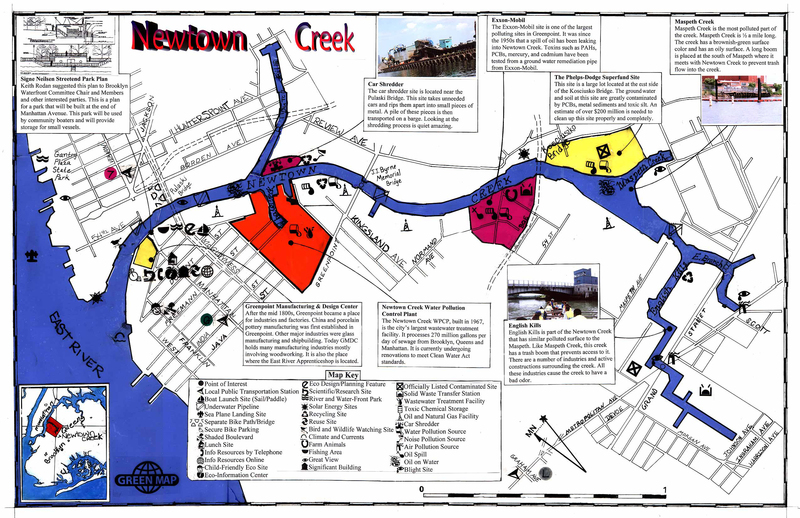 Two Green Maps were created at Recycle-A-Bicycle’s Inwood shop in upper Manhattan in 2003 and 2004, on local food - Sprout to Action - and on air pollution and asthma - Space to Breath. Both are bilingual, in Spanish and English. 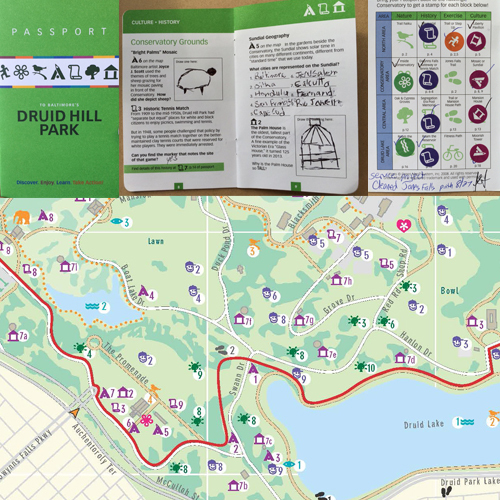 We especially appreciate how Space To Breathe is composed, incorporating tree cover and asthma maps into the youth perspective on a health issue that impacts nearly every family in the area. Are We Trashing the Apple? This Year 2000 project took on an important topic, waste. 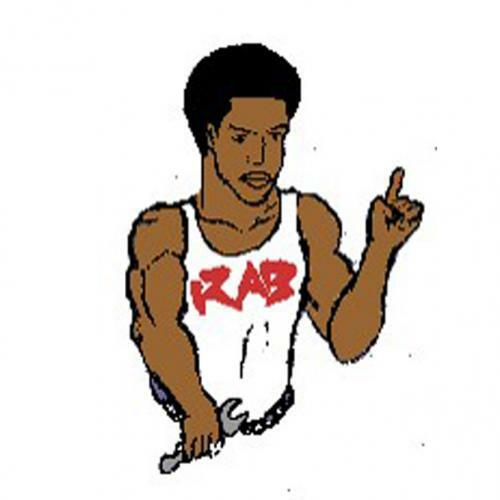 As part of the process, RAB youth charted the city's Garbage Crisis and proposed transfer stations that would impact low-income communities along the waterfront. Are We Trashing The Apple? became part of the campaign that successfully stopped the poorly planned waste transfer stations and the estimated 5000 truck trips per day they’d bring. However, New Yorkers are still inept when it comes to waste reduction and recycling, with less than 20% of our enormous waste stream making it into the right bin.